For anyone new to the world of wedding planning it can be a daunting place. With so many wonderful wedding suppliers available, couples are often left overwhelmed and at a loss at where to begin. To help you along the way I have put together a guide listing a variety of wedding suppliers that you may consider working with, as well as sharing tips on how to put together your shortlist and finally a selection of questions you should ask any potential supplier when making your initial enquiry. In short, the key to booking the perfect wedding suppliers is to carry out research. Speak to friends and family who have recently tied the knot, visit websites, stalk social media platforms and fall in love with wedding blogs. Whilst this is time consuming, carrying out careful research will help you indentify the suppliers who are passionate about their work. Investing time to source such suppliers will ensure that you absolutely get the wedding of your dreams and before long you will realise that you are naturally drawn to the wedding suppliers whose style matches that of your wedding day, which is a great place to start when putting together a shortlist of suppliers to contact. Once you have created a shortlist for each supplier type you can begin making your initial enquiries. When contacting potential suppliers the following questions will help you identify which ones you would like to meet to discuss your wedding day in greater detail. And finally go with what feels right. Each wedding professional that you choose to work with has their own important role to play throughout the planning stage and on the day itself. Select the perfect team and they will each work in tandem to deliver to you your dream wedding. So, I hope that the above has provided a little guidance for you, but if you are struggling with any part of planning your wedding then working with a wedding planner may be the answer. 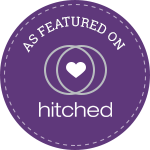 If you feel that I could assist you, head over to my website to discover the variety of wedding planning services that I offer.